IBC 1000 litres containers are characterised by being and palletised and therefore easy to move and stack with a forklift truck. There is a choice of 3 different types of pallets: wood, plastic, or metal. This decision is not too difficult to make, as it’s not crucial. Wood is the cheapest option and fine for a lot of businesses. However, any business that needs a very hygienic workplace will go for a plastic pallet because it’s more hygienic. Metal is of course very robust and therefore some people prefer them. If you have any hazardous goods you can always call our office to double check, as we have all the regulations at hand in our office and we are more than happy to advice you. Once you know which kind of pallet you would like and whether it needs to be UN approved or not, you will have to choose for either a new, reconditioned or rebottled IBC. Reconditioned is the most economical option and therefore often a wise choice to go for. We already exist more than 30 years and we recondition the tanks here our self to the highest standards. They are all tested and you’ll receive them with a temper tag and looking as good as new. Although we clean and test every IBC incredibly thoroughly, we still don’t sell these IBC’s to the food, drink or pharmaceutical industries. Basically, not for products that will be consumed by humans or animals. The option you have then is new or rebottled. Rebottled means that the bottle inside has been replaced by a brand new one. We restore all our cages if necessary so these IBC’s are practically the same as a new IBC, but just that little bit cheaper. Amongst our new IBC’s we also have a multi-trip IBC. Basically this is the most robust IBC of all and this one will last for ever. These are of course a bit dearer, but already works out cheaper after just a view trips. A smart investment for any established company or stable business. Standard IBC's are for a 1000 litres, but we do also have a 640 litres or 820 litres IBC for people who need a smaller one. One more option we offer is the stainless steel IBC. This one is entirely made out of stainless steel and is a high-quality product and a state of the art solution to whoever requires an easy and efficient bulk material handling. 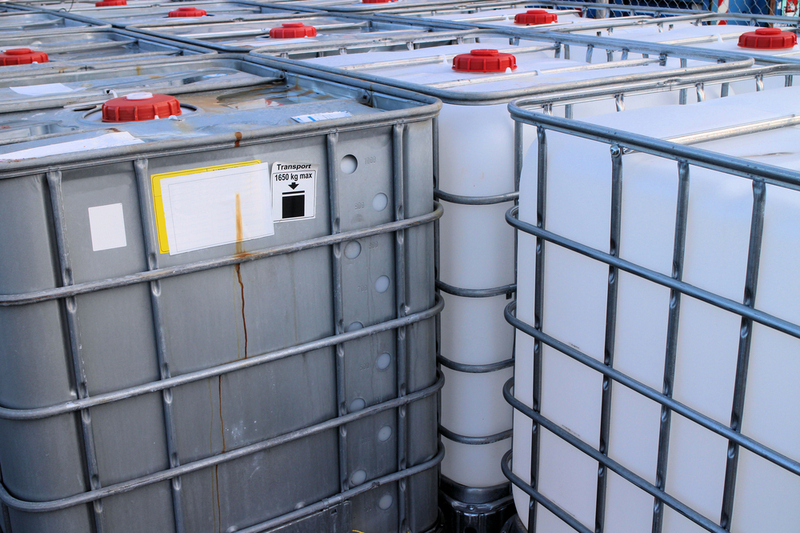 These containers are for heavy use over long periods of time and are tested and approved for transport of dangerous goods by road, rail and sea according to UN/ADR/RID. These are just a view tips on how to choose the ideal container for you and your business. However, if you do have any questions, please contact us and our team is more than happy to give you further advice.